Cannabis education – what is it exactly? Chances are, you’ve heard this term before. Understanding how to cultivate, consume, and operate in the cannabis space is more important than ever. And what if I told you cannabis education is a critical element for the future of cannabis. Clean, organic cannabis is the norm. People are no longer considered criminals for a plant. People can choose plants over pills. People understand how to maximize the health benefits of cannabis. People everywhere can grow their own medicine. People no longer have to live in fear for a plant. I don’t know about you but that’s the future I’m striving for. Credible education is the backbone of progress. If we want to change how the world sees, views, and uses cannabis – it starts with knowledge. Here’s how cannabis education will shape the future of this vibrant industry. 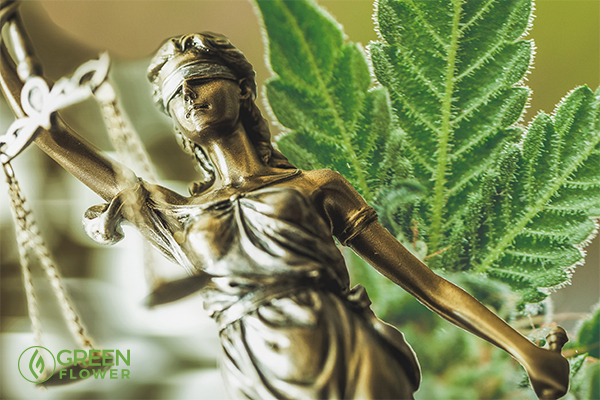 Changing unfair cannabis laws starts with credible cannabis education. Cannabis legislation is sweeping the globe. In 2017 alone, numerous countries made remarkable strides. Greece legalized medical cannabis and became the 6th country alongside the Netherlands, Spain, Finland, Czech Republic, and Portugal in the EU to do so. Recently, the president of Mexico, Enrique Peña Nieto, also signed into law a bill legalizing medical marijuana. In October, Peru’s Congress passed a bill allowing for the production, importation, and sale of cannabis oil. California is now weeks away from becoming what many people expect to be the largest adult-use cannabis market in the world. The hard work of activists around the world has paved the way for legalization. There has never been a time in recent history where public support for cannabis is so high. But our work is nowhere near complete. Prohibition and the ramifications of its injustices are very much alive. There are still prisons full of people in the United States for cannabis-related charges. While whites and blacks use cannabis around the same rate, blacks are 3.73 times more likely to be arrested for marijuana possession. And that’s just the average. In some areas, that number is much higher. Clearly, the system is broken. However, education has played a big role in the progress that’s taken place. If we are to continue this reform, we must focus on spreading knowledge. Increasing awareness through education is key to ending unjust cannabis laws. The cannabis stigma is still incredibly strong in many areas. What is one thing Maya Angelou, Carl Sagan, and Steve Jobs have in common? Not only were they some of the brightest minds of our time, they also enjoyed cannabis. If you’ve been around this plant long enough, this probably comes as no surprise. You can be a healthy, productive, and successful person who uses cannabis. We have yet to see any scientific link to support the perpetual myth cannabis makes you lazy or apathetic. In fact, a recent study from BDS Analytics revealed cannabis users are not only more successful; they’re more satisfied. This is just a fraction of the therapeutic potential of this plant. Did we also mention cannabis poses zero risk of fatality and nutritionally is considered a superfood? Clearly, it’s not the dangerous drug Reefer Madness made it out to be. The more we share the truth about cannabis, the more we can dismantle those harmful stigmas so that more people can benefit from this plant. Did you know the first recorded use of cannabis was in 2,737 BCE under Emperor Shen Neng in China? In fact, until prohibition, cannabis was just another herbal plant. But the War on Drugs demonized one of the world’s most ancient herbs. Henry Anslinger, the first commissioner of the U.S. Treasury Department's Federal Bureau of Narcotics, led the way. He created a campaign fueled by racism and fear to support cannabis prohibition. Today, we’re dealing with the aftermath of these actions. Even in places where cannabis is legal, consumers still face damaging social stigmas. A lot of this can be attributed to misinformation. Many people are still in the dark about cannabis. Education is vital to changing this. If we want to normalize cannabis, we have to start with education. An informed public who is given credible, reliable, and evidence-backed information isn’t as easily persuaded by propaganda. We can each play an active role in bringing this message into the mainstream by making credible cannabis education accessible. Nobody should ever be punished for choosing cannabis. Would you agree cannabis reform has made a lot of progress in the past few years? The number of states with some form of cannabis legalization has increased substantially, and the momentum continues to build. However, despite this progress, the reality is that millions still do not have safe access. Not just in the United States but around the world. 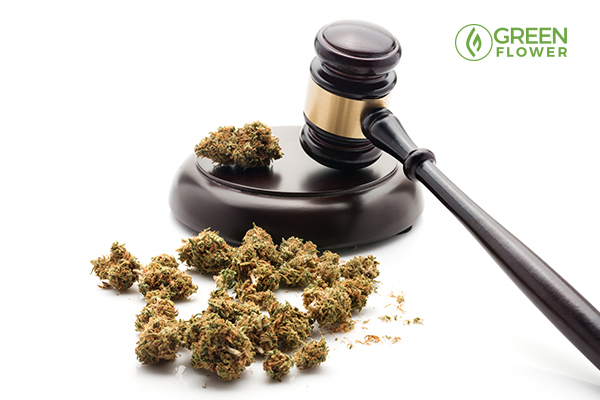 Imagine just how many lives could be changed if cannabis were legalized and legitimized? People shouldn’t have to deal with black market mystery cannabis, which could be contaminated with all sorts of unpleasant things. To increase safe access, we must work together to help change unjust laws and share cannabis information. One potential side effect of cannabis: Laughter! Want to get the most out of your cannabis use? As our understanding of cannabis has evolved, so has our approach. Even experienced consumers often times still have a lot to learn and don’t even realize it. For example, today we know cannabinoids like THC and CBD are only scratching the surface when it comes to cannabis medicine. In fact, at least 113 different cannabinoids have already been identified. We also know that phytocannabinoids, terpenes, and cannabinoid acids play a role in how cannabis works within the human body. Cannabis is a complex and multidimensional medicine. Learning how to maximize the benefits of it can be life-changing. And yet with such a diverse range of therapeutic uses, it can be overwhelming knowing where to begin. It’s important to understand that cannabis affects everyone differently. #1) Set your intentions – Why are you using cannabis? Pinpoint the specific needs or desires you would like to address. Keep in mind you probably have more than one. In fact, most of us do. The good news is that cannabis can serve a wide variety of needs and situations. #2) Select the ideal cannabis variety for you – Once you have a better understanding what you would like to gain from your experience, you can choose the right strain to treat your symptoms or match your desires. Every strain of cannabis contains a unique genetic composition. Depending on your needs, you can maximize the therapeutic potential. 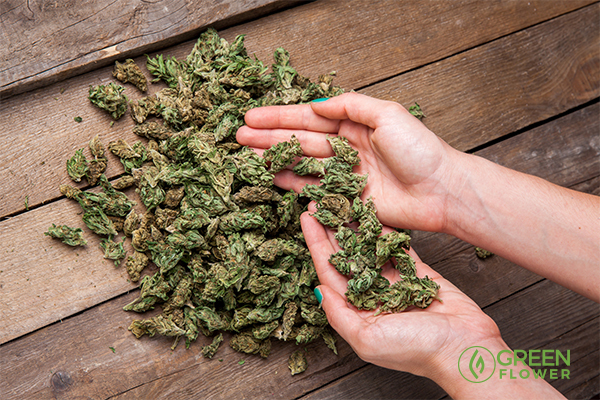 #3) Choose a method of delivery – There are numerous ways to reap the benefits of cannabis. Edibles, flower, tinctures, concentrates, and topicals all have something to offer. Learning how to maximize the health benefits of each can enrich your experience greatly. #4) Take correct dosage – Finding the right dose of cannabis can be challenging. But regardless of what you’re consuming, start slow and increase your intake gradually. Starting slow means taking the smallest amount possible and avoid re-dosing too quickly. When consuming packaged products, always review the recommended serving size before consuming. #5) Monitor your response – Keep track of your experiences with a journal. Recording your emotional and physical responses can elevate your experience. 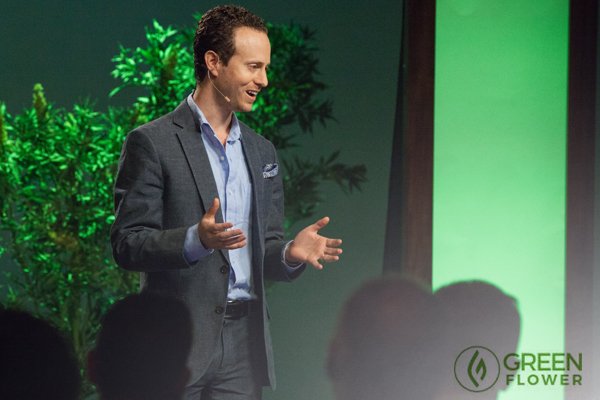 Green Flower founder Max Simon hosting the 2017 Cannabis Health Summit. Incorporating cannabis into your life can be a truly positive thing. Cannabis can help us live happy and healthier lives. When used mindfully, these benefits are amplified. And the more we understand about this plant, the more we stand to gain from it. Not only as individuals but also as an entire planet. In order for cannabis to fully move out of the shadows and into the light, people must begin to see cannabis as the healing plant it truly is. We can each help support this change in our own ways. The biggest way starts with strengthening your own cannabis knowledge base, and inviting others to join with you. Green Flower is your dedicated platform for trusted cannabis knowledge and education. Did you see the new Green Flower 2.0? 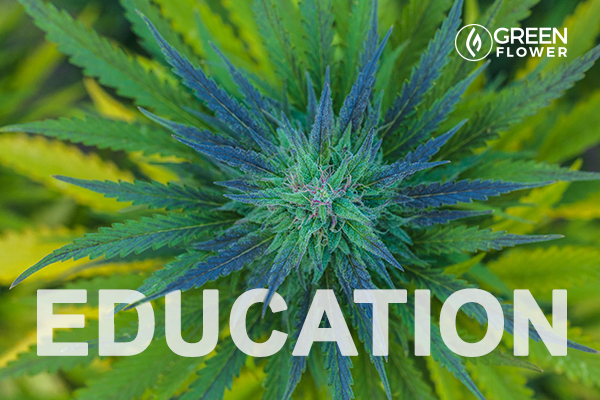 Do you agree that credible cannabis education is important?